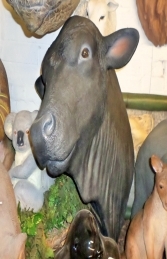 This super resin replica Angus Bull Head is realistic but will not offend! The Jolly Roger Life-size Models range of Animal Heads are a fantastic way of adding to a farm-yard scene. 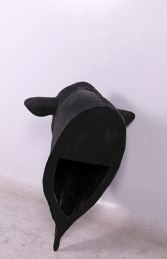 This wonderful resin model Bull Head mounts on the wall & is an eye-catching piece to use in a farm-shop, diary or country-side themed areas or to promote shops, businesses, pubs, restaurants, coffee shops. 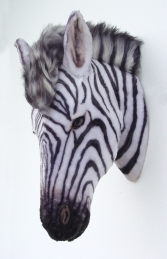 It would even look fabulous in your own home or garden mounted on a wall. PLEASE CONTACT US ON 01626 833646 or 07860 680181 TO DISCUSS THIS MODEL & THE OTHER FIGURES IN OUR COW & FARM-YARD ANIMAL SERIES. PLEASE PHONE US TO PLACE AN ORDER & FOR A QUOTE FOR DELIVERY COST TO YOUR POSTCODE.